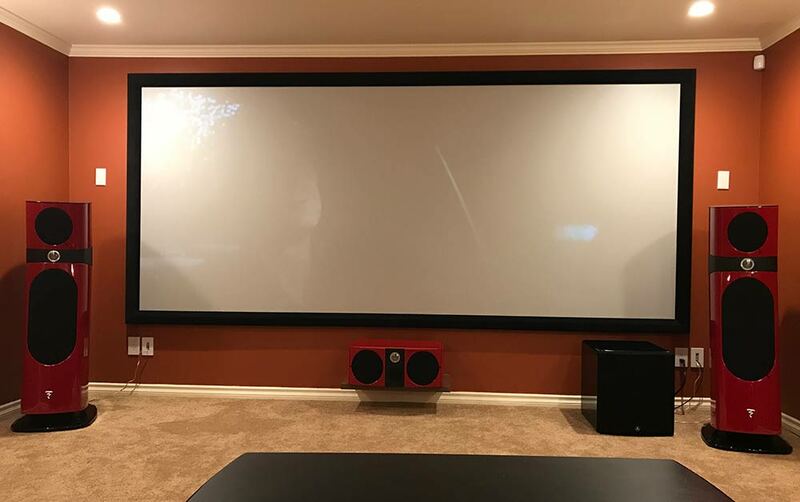 Over the years we have had the pleasure of transforming a basic surround sound room into the ultimate home theater room. 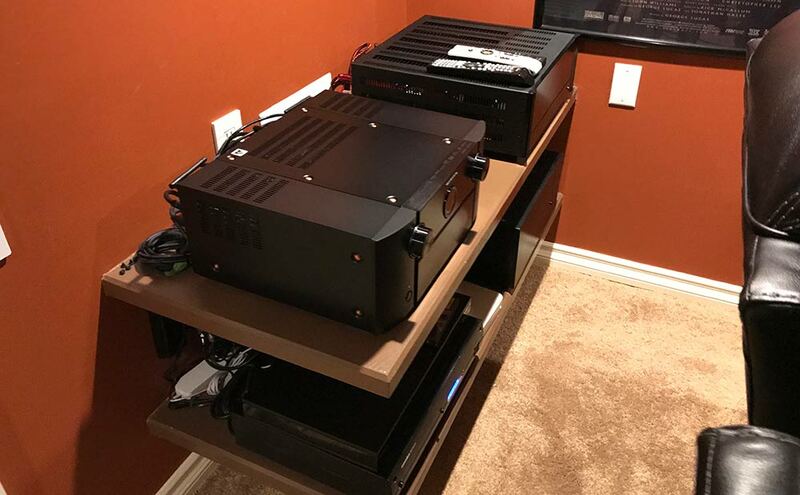 Our customer recently remodeled his entire room to optimize the listening experience. 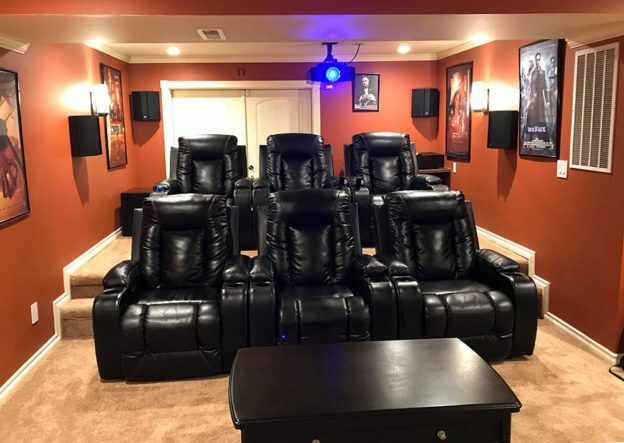 With the risers and theater chairs, every seat is perfect. For the viewing experience, we are using a Reference JVC projector and a Screen Innovations 152″ wall mounted screen. The audio/video processor is the top of the line Marantz 13.2 channel AV8805. To make sure that the speakers have all the needed power, two Anthem amplifiers are being used to provide the juice. 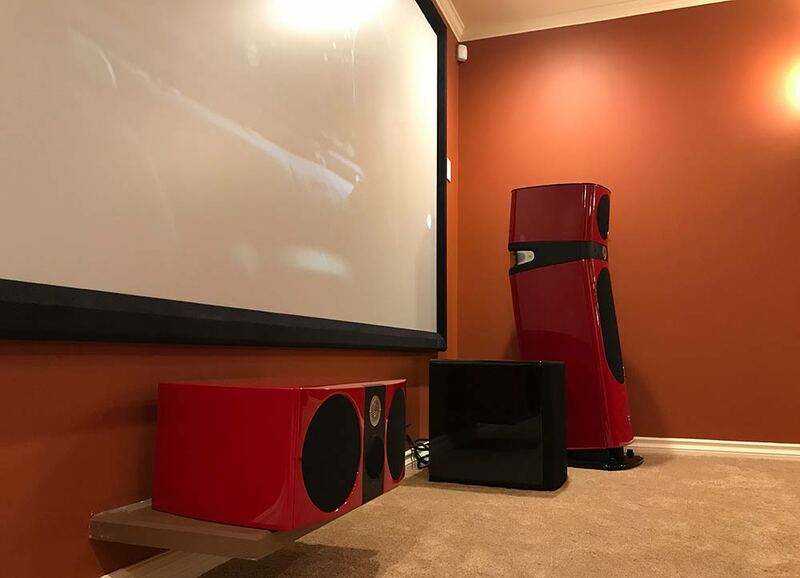 For the main speakers, what else would we use, but two Focal Sopra 3’s with a Sopra center channel in Imperial Red? The surround speakers are PSB’s that were installed in the past. For Dolby Atmos enabled in-ceiling speakers, four Focal 300ICW8’s handle all of the immersive sound. To tie all of it together, a pair of JL Audio Fathom F113 subwoofers. It has been fun to see the transformation of this room over the years and the friendships that have been formed. Can’t wait to see the next steps. This entry was posted in Installations on June 8, 2018 by Jim Lee.